Mother’s Day in the NICU is often bittersweet for our NICU Mothers, as they fight for their baby in the hospital. Each year, ICU baby seeks to make their Mother’s Day extra special given the circumstances. 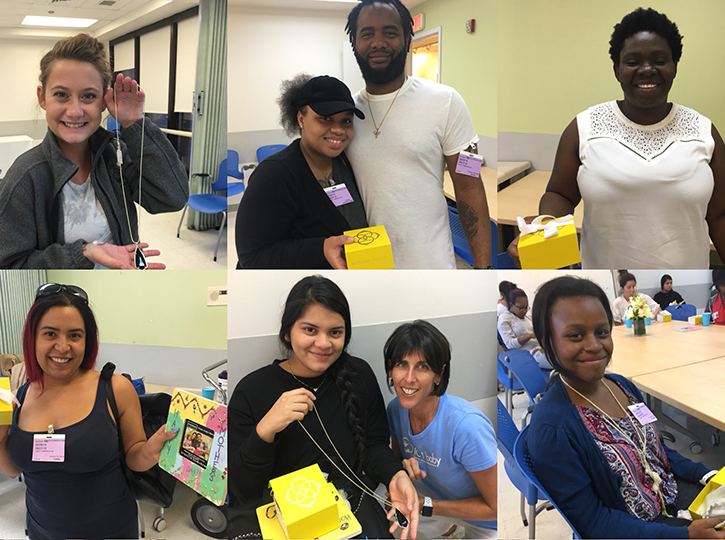 This year, ICU baby was proud to partner with national jewelry chain Kendra Scott which gifted a jewelry piece to every single Mother that attended the Supper at both hospitals! The pieces were received by the NICU Mothers with so much joy, gratitude and, sometimes tears, as it was the first Mother’s Day gift some of them had ever received. They also received adorable picture frames for photos of their babies that were decorated by Kindergarten students from St. Agnes Academy. The Supper was generously sponsored by BOOM of Plymouth Congregational Church and BOOM members Susie and Annetta attended at Holtz to help serve. It was a Mother’s Day celebration our NICU Mother’s will not soon forget.